Classic beauty is all mostly about having the right attitude, but having the right dress never hurts. Who knows? 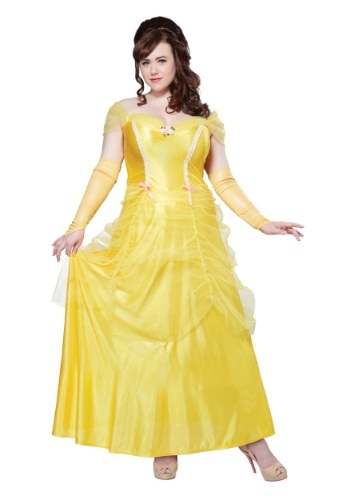 When you wear a yellow princess dress like this one, you might even get caught up in your own fairy tale! We're not psychics, but some handsome prince who's been turned into a beast may just try to take you on as his wife, where you can teach the important of kindness and unconditional love. At least, that's the sort of vibe we think this plus size costume gives. You'll just have to see for yourself what kind of fairy tale you create while wearing it.